Evan J. Marshall — Laguna Beach Live! 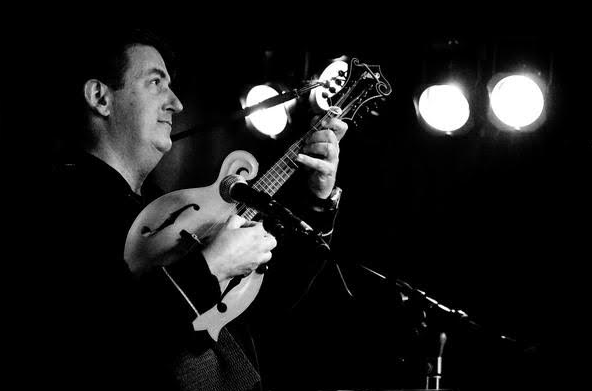 Evan J. Marshall is an internationally renownes mandolin virtuoso, and is widely regarded as the world’s premier solo performer on mandolin Duo -Stlye. By himself he sounds like several of the world’s finest mandolinists performing together. Inspired by Atkins and violinist Jascha Heifetz, Evan has created a uniquely recognizable approach to solo mandolin performance that combines bass lines, chords rhapsodic runs and tremolo melodies. He started classical violin studies at age seven and added the mandolin at age 14. In addition to solo performances, Evan has been a Featured Guest Artist in Pops concerts with a number of Symphony Orchestras, including Houston, Phoenix, Long Beach, Grand Rapids, Fort Worth, San Antonio, Jacksonville and Pensacola. Evan Marshall Is the Lone Arranger, which the Washington Post labeled “Truly Dazzling” the Raleigh-Durham Independent called “Superhuman” and the Fresno Bee called “Mind-boggling”. Mandolin Magic, which the St. Paul Pioneer Press applauded for a “Stunning Mastery of interpretation”. Evan also has recorded four solo CDs for his own label. Mandolin Conservatory. In 1995 Evan made his first appearance on A Prairie Home Companion with Garrison Keillor. Between 1993 and 2005 Evan was a Featured Soloist at Disneyland, performing his signature William Tell Overture: Finale for abou two million visitors to the famous Golden Horseshoe Theatre during the course of 10,000 shows. He has performed and taught at numerous regional and international conferences for mandolinists, who hold Evan in particularly high regard; Don Stiernberg has referred to Evan as “The Michael Jordan of the mandolin”.